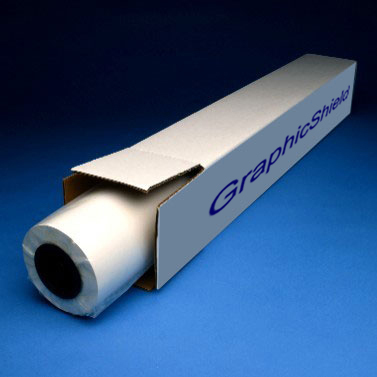 GS37 — Graphic Art Supply, Inc.
GraphicShield™ UV GLOSS, UV LUSTER & UV MATTE vinyl laminating films are coated with super-clear acrylic solvent adhesive. UV GLOSS, UV LUSTER & UV MATTE laminating films are ideal for protecting posters, wide-format digital prints photographic prints and display applications when low-glare or non-reflective finishes are desired. UV GLOSS, UV LUSTER & UV MATTE enhance color. The acrylic solvent adhesive makes them good choices for outdoor applications.